In the Merindades, especially in the autumn, one of the favourite pastimes is heading out to look for delicious edible wild mushrooms. Depending on the rainfall, the main season starts in late September and can last until January for certain species. April marks the season for St Georges mushroom, the most sought after species in the neighbouring Basque Country. 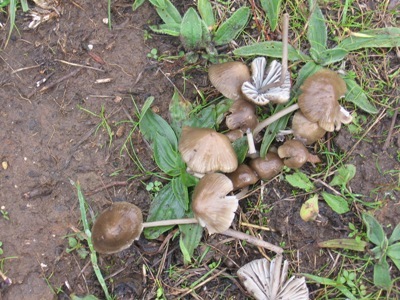 Given the warmth of the early- and mid-autumn here, the first rains bring the wild fungi literally shooting from the ground.